The last weekend in January ended up being a brisk one, but it didn’t stop partygoers from flocking to the 2nd Annual Aquarius Festival, produced by the same team that brings us Secret Summer every year: Tyler Hollinger of HighLife Productions, Andrew Maturana of RAPT and Allison du Val of The Foundry, which is where the event took place, complete with hanging twinkle lights, and two fire pits! 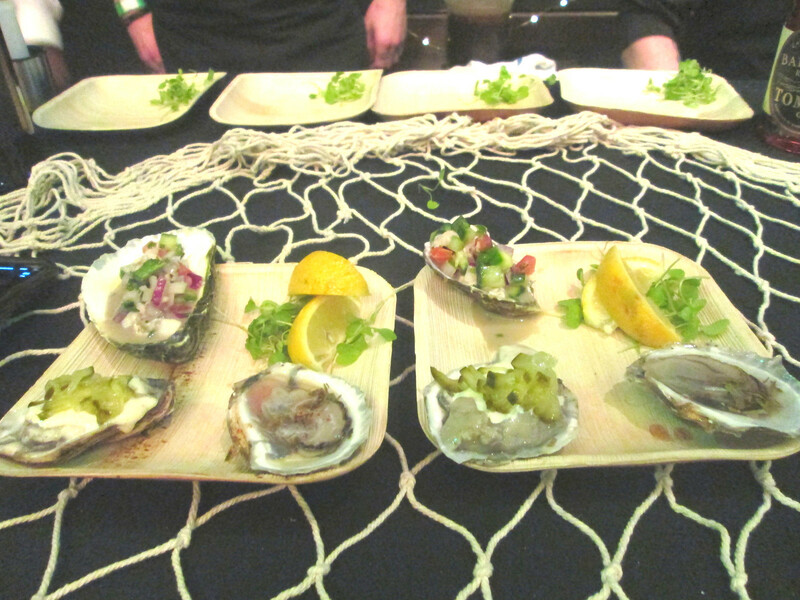 The food trucks serving seafood and bar serving oysters were definitely a highlight this year and played into the sustainable seafood concept perfectly. Kellari Taverna offered up seafood delights like a Greek Clam Chowder and Kakavia Stew to warm attendees up outside, in addition to Icelandic Artic Char Croquettes and aesthetically pleasing but also tasty Prawn Kataifi. Ca’Pisci offered seafood skewers off the grill, which were cooked to perfection and stuffed Loligo Squid. Those that aren’t fans of seafood were also as in luck as Crazy Taco-Mex and Neapolitan Express offered up alternatives. Back inside, MF Events provided Fishers Island Oysters with varied accoutrements. Back inside was where the cocktail program was offered. 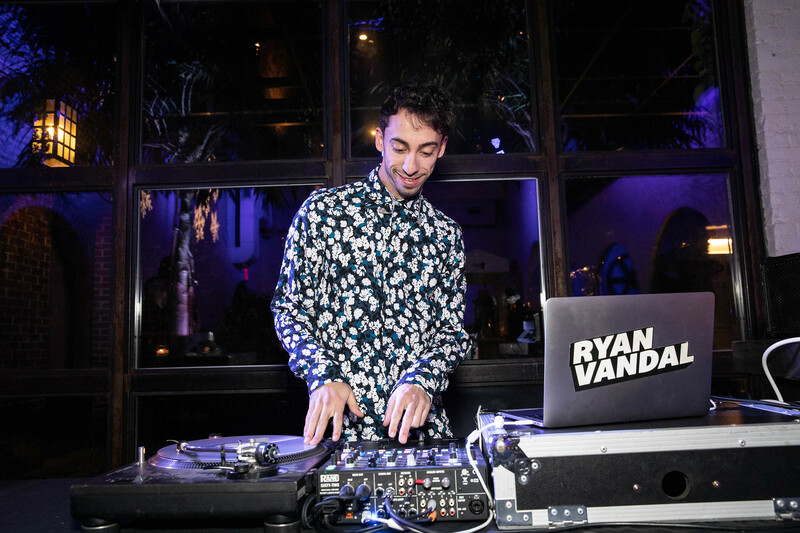 Ketel One was stationed in the Albra Room with DJ Ryan Vandal providing the tunes. Next door Spring 44 Distillery provided a plethora of cocktails to choose from, our favorite was the Winter Basil Rose Lemonade. 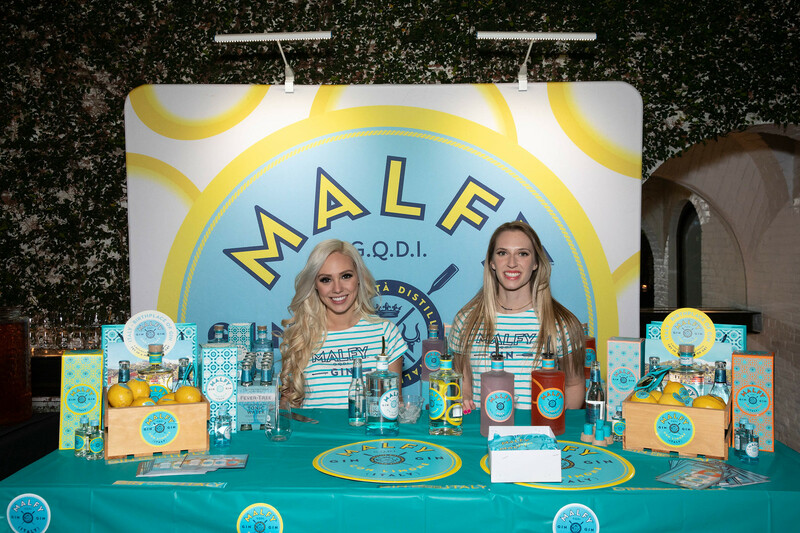 We also tried Malfi Gin, which reminded us of limoncello straight from Italy, which is where it’s from! Ardbeg did their take on 10YO Bloody Marys and 10YO Long Islay, their take on a Long Island Iced Tea and Barr Hill Gin served drinks with bee pollen and edible hibiscus flowers! The Finnish Long Drink went around with shot glass-sized samples of their spirit, which made for a social tasting with groups around the space. 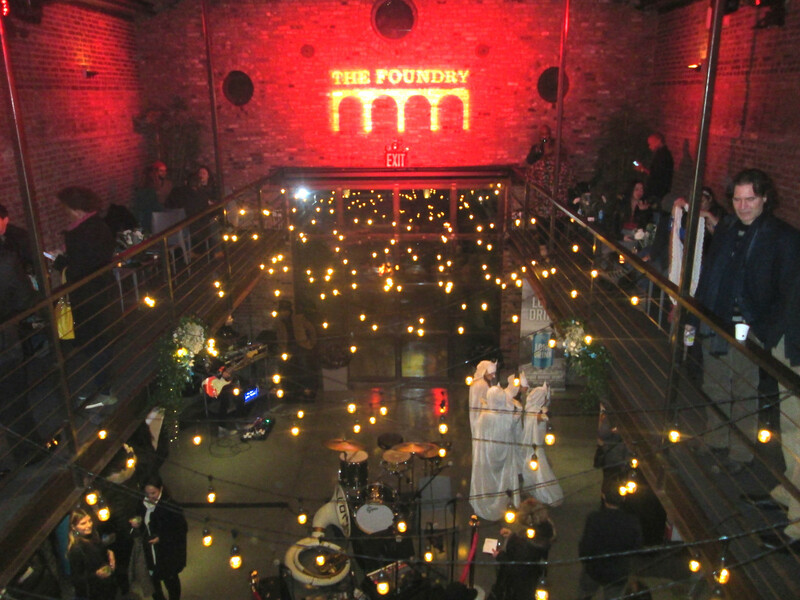 The main room offered event favorite treats like My/Mo Mochi Ice Cream, 4Five Photobooth and Coney Island Brewery kept attendees entertained with opportunities to capture the moment in a photo and Niamh Langton was upstairs sketching illustrations of revelers to commemorate their experience. 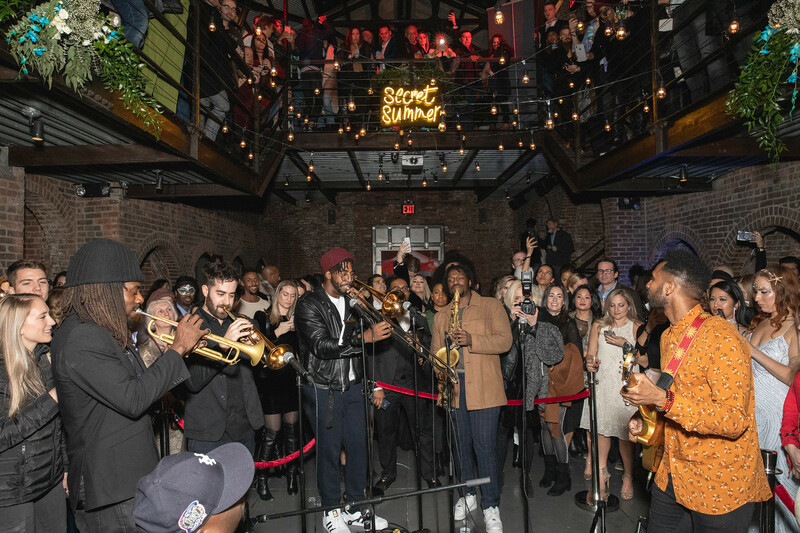 As expected with the classy level of entertainment at Secret Summer soirees, there’s usually a little bit of burlesque, which was provided this year by Winter Burlesque by Karina and a brass band, which this year was offered Hudson Horns who stole the show. There is also an element of something new. DJ Sasha Hart turned it up with guitarist Neon Jesus and electric violinist Lilia Valerie, which is the other half of their Electric Reflection duo. Not sure how the Secret Summer was able to improve from last year’s Aquarius event, but this year was even more of a ball. We can’t wait to see these seasonal events continue to evolve and we can say we were there from the beginning. Secret Summer returns for their fifth annual fete on August 4th, so we’ll start planning our outfits now! 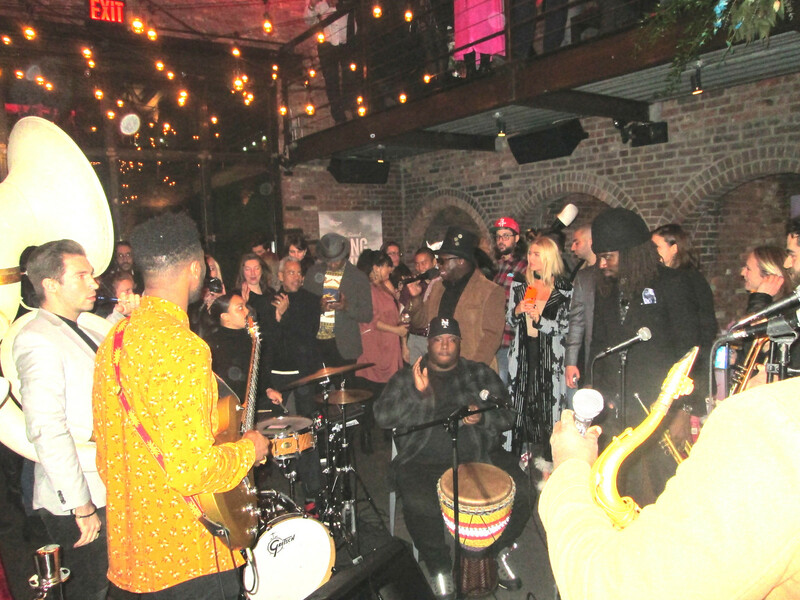 To keep updated on the event, please visit http://www.secretsummernyc.com/.